A great article written by Tom Angotti. This is an audio recording of the panel discussion at our last screening. Listen to Tom Angotti and Ndigo Washington answer questions from the audience about rezonings and New York City development. They led a local community board vote to suspend presentations by the city and developers. When the city rezones to allow more density, developers should be required to include more truly affordable housing. By Ismene Speliotis. The “New” Victoria theater. Coming soon. Council Speaker Melissa Mark-Viverito rejected claims today that the de Blasio administration is moving too quickly with their housing plan. Click on link to read this NYTimes article, In Harlem, Renaissance Theater Is at the Crossroads of Demolition and Preservation. 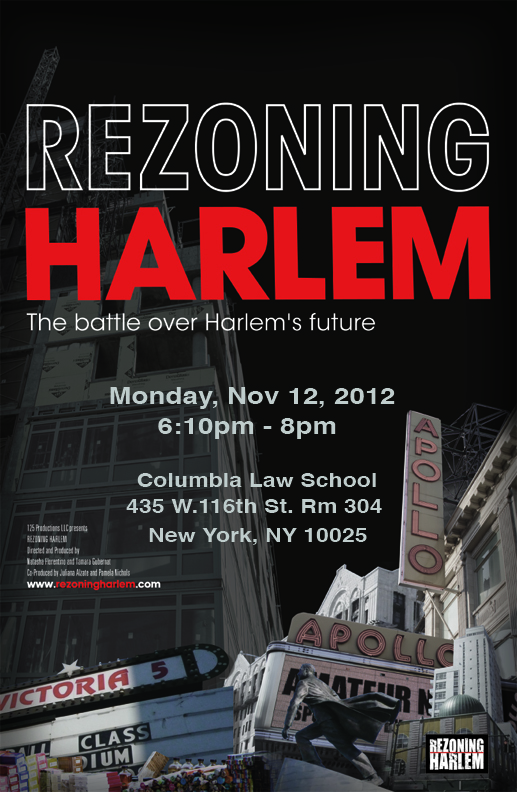 Harlem Community members involved in the fight against the 2008 rezoning of 125th Street. 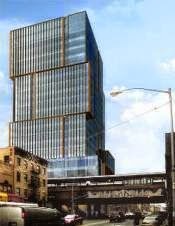 Vornado is selling the Harlem Park site. 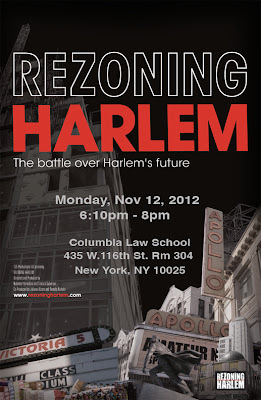 REZONING HARLEM is screening at Columbia Law School followed by a panel discussion with Monique Ndigo Washington. REZONING HARLEM heads out to Toronto this week to meet our neighbors to the north who are also dealing with development and affordable housing issues.